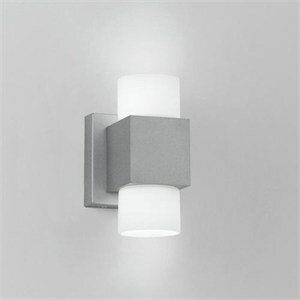 The Dupla offers direct and indirect halogen lighting. Body in die-cast aluminum in geometric forms with brushed aluminum finish. Equipped with 120V electronic transformers. Uses 2 X 35W max GU5.3 MR16 bulbs (not included). May take up to four weeks to ship.